This guide describes the steps necessary to setup Agents in Microsoft Azure Cloud-Services. 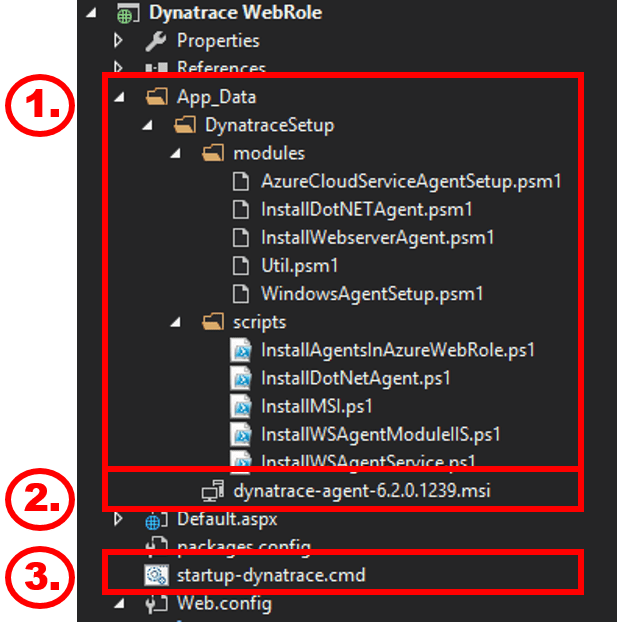 The installation uses Powershell scripts available from https://github.com/dynatrace/dynatrace-powershell to install the necessary agents, executed by a startup-task. In this guide, WebRole installs agents to monitor IIS and ASP.NET. WorkerRole installs .NET agent to monitor WaWorkerHost.exe. The public download location at https://files.dynatrace.com/downloads/appmon/index.html. 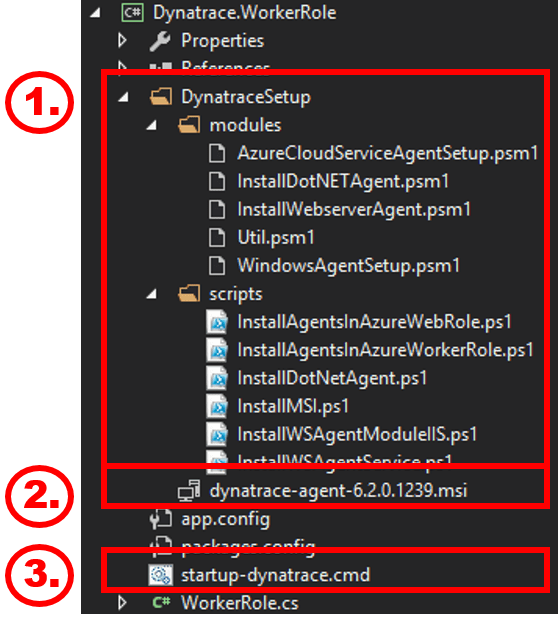 Download scripts and modules from https://github.com/dynatrace/dynatrace-powershell. 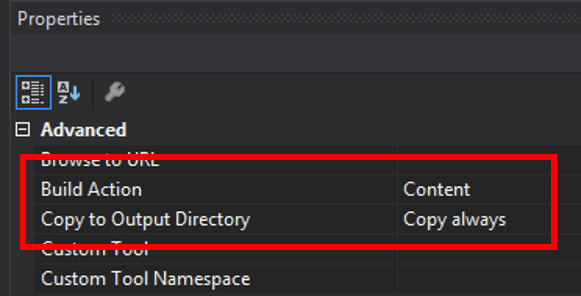 Within the App_Data folder, create a new folder named with a descriptive name. For example, DynatraceSetup. Put all powerhsell scripts, modules, and the agent installer (.msi) into this folder. 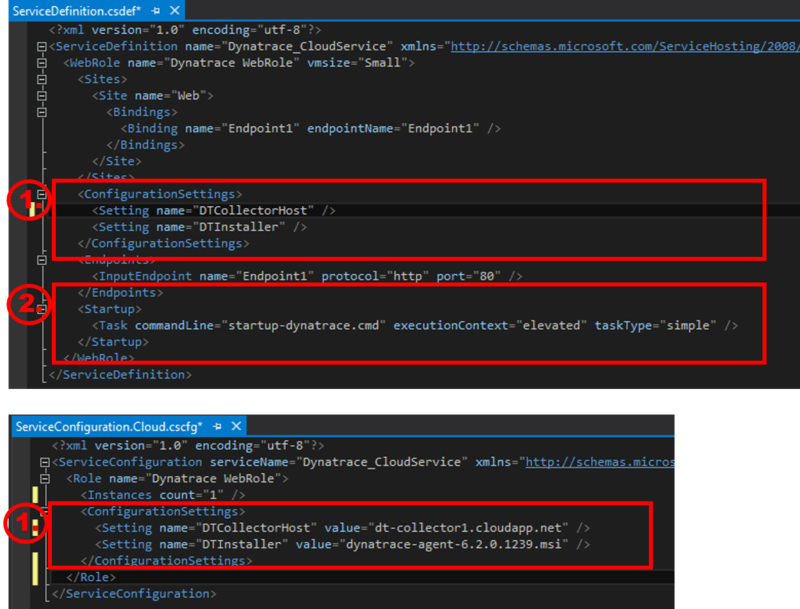 Add a new startup script to your solution that calls scripts/InstallAgentsInAzureWebRole.ps1. Within your solution create a new folder with a descriptive name. For example, &apos;DynatraceSetup&apos;. Put all powerhsell scripts, modules, and the Dynatrace .msi into this folder. For further details on additional configuration options, see description within either scripts/InstallAgentsInAzureWebRole.ps1 or scripts/InstallAgentsInAzureWorkerRole.ps1.